Maire’s 2018 Designer collection is available exclusively from her showroom in Fitzwilliam Square, Dublin providing both contemporary and vintage styles. Maire’s 2018 Designer collection is available exclusively from her showroom in Fitzwilliam Square, Dublin providing both contemporary and vintage styles. Clients can choose from the collection, or they may like to have a completely new design created for them. Her 2018 Ladies capsule Fashion collection include dresses, two-piece top and skirts, evening dresses, coats and jackets. The theme throughout these investment pieces is structured, sculpted and hourglass shaped dresses with asymmetrical style lines, which works best to enhance the figure. These bold shapes are most effective with the use of solid colour blocks, – for example fuchsia, deep purple, black, cream, and mixed with complementary fabrics with an oiled finish. Her exclusive new fabrics include coats weights with a channel finish, innovative all over prints with a mix of vibrant colours, leather look oiled finishes sitting with medium weight wools, and mix of georgette and silks in a wide range of colours. 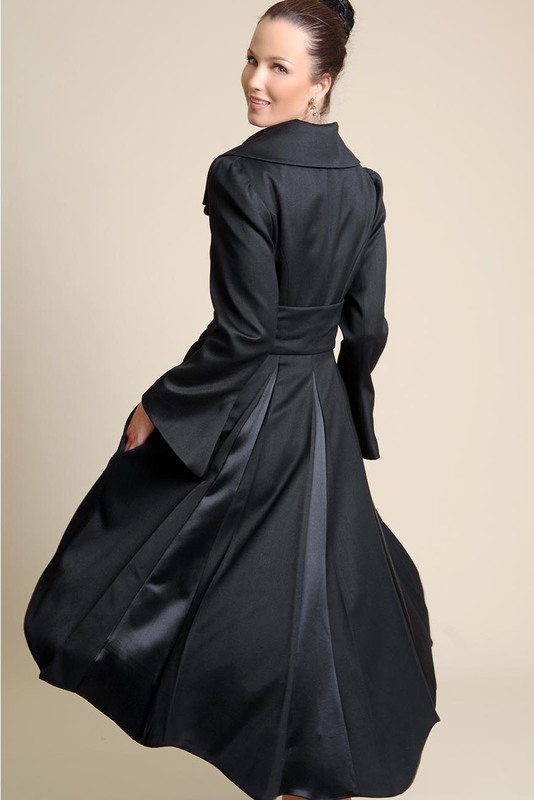 Maire provides a personal made to measure bespoke service and personal styling with garments made to best flatter the clients particular silhouette and taste. Maire’s customers include Mother of the Bride, Mother of the Groom, Black-tie events, guests at weddings, ladies going to the races and other special occasions. Her sharp, tailored Mother of the Bride dresses, full length evening dresses and contemporary occasion wear outfits offer both versatility and exclusivity to the wearer. Maire offers a unique personal shopping experience in a relaxed elegant environment.